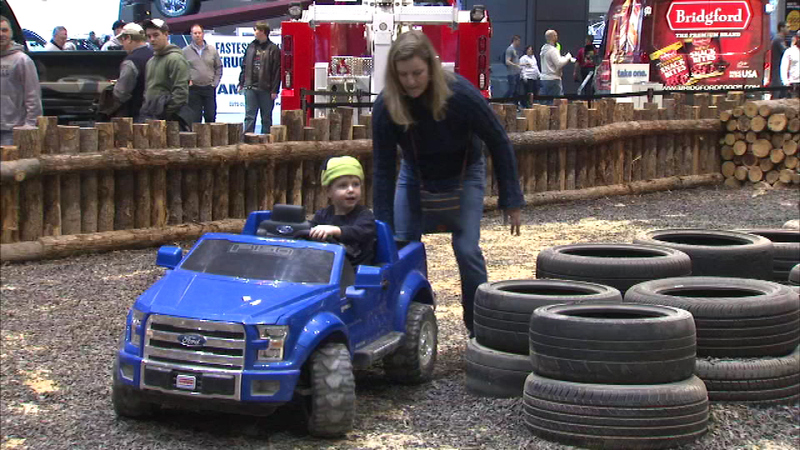 Children got some hands-on experience with some mini SUVs made just for them at the Chicago Auto Show Saturday. CHICAGO (WLS) -- This is the last weekend to check out the Chicago Auto Show at McCormick Place. Children got some hands-on experience with some mini SUVs made just for them, while the adults got to test drive some of them on an indoor rugged terrain. The Auto Show is open until 10 p.m. Saturday and finishes up Sunday from 9 a.m. to 8 p.m.